Jackets is a 20 year-old MC/Producer from Maitland NSW with a flare for dark, dramatic beats and gritty flows. 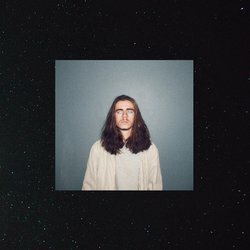 Jackets shook up the scene locally with his first release, Pretty Places, which was backed up by the Triple J Unearthed endorsed power track Spooky. Now on his third single, GLXY Street Jackets presents a polish and professional sound with relatable, introspective lyrics sure to turn heads and touch hearts. Diving heading first in the new wave indie Hip Hop scene Jackets presents a fresh authentic take on Hip Hop within a saturated genre. The vibe laden, haunting vocals presented in GLXY Street resonate over the down-tempo minimalist production setting the sombre mood complementary to the emotive lyrics. The track is about allowing yourself to fall in love, and letting go of your past transgressions that hold you back from being truly happy.